Altare Productions has brought together two relatively unknown names in the black metal world for yet another brand new seven-inch split. Within the ranks this time around are Finnish newcomers Serpentfyre, who formed back in 2012 and only have a demo and their 2015 debut album Bestial Mysticism to their name, as well as long running Purtugese four-piece Dolentia who have unleashed a good number of efforts since forming in 2004. 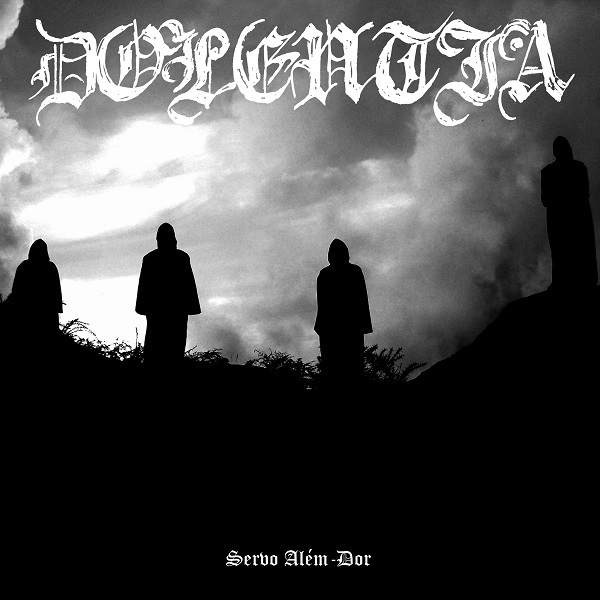 The latter’s latest album, Iniciação Eversiva, was also released through Altare Productions, as well as the smaller UK label Mordgrimm. But do these two mesh together well enough to benefit the two bands in any way, or do both groups simply phone it in with uninspiring performances? 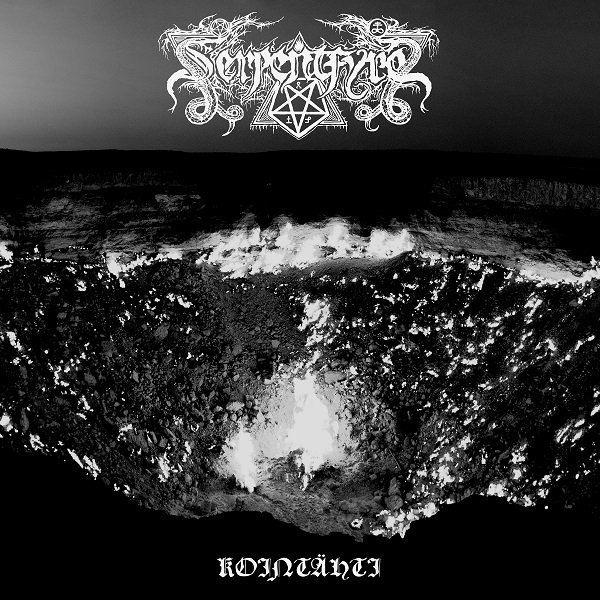 First up is Serpentfyre with “Kointähti”, a dark yet firy black metal assault laced with suitable growls to build on the hostility the band presents much of the time. When not tearing into the listener with highly distorted riffs that linger more in the background, there exists a reliance on the loud bass guitar to maintain a groove that sometimes takes on more of a glorious nordic sensation, something one would expect of the Finnish trio. That emotional toll grows a little more grand on “Servo Além-Dor” from Dolentia. The enthusiastic, rawer sounding performance carries itself with an afterlife draped in white, as if empowering into the next world before being dragged kicking and screaming into the doom laden darkened nightmare that is eternal damnation by the half-way point. The raspier vocals give way to deep, sometimes altered gutturals backed by a ritualistic drum pattern that marches you forward to a return to the light that is unwarranted. Truthfully, had the performance ended with that creeping pace, the ending would have had a far better impact musically. But, even with “Servo Além-Dor” carrying on a bit too long, this Split with Serpentfyre is a solid one none-the-less. Two superb acts in the black metal world come together to bring one new song a piece for their respective fan bases, and it works out quite well. While the overall atmospheres have a decent amount of variety, there’s still enough of a similarity to make the two seem cut from the same cloth, prime to expose those unaware to each other’s existence properly. If you haven’t heard of these two bands yet, or are familiar and just want some new tunes, then this new Split release is one you’ll want to check out. Digital review copy of this release provided by Altare Productions.